Journalist Charlie Cates has always believed in facts — in what can be proved — which is why she hasn’t fully accepted the “fact” that she secretly has vivid dreams and visions of children who need her help. 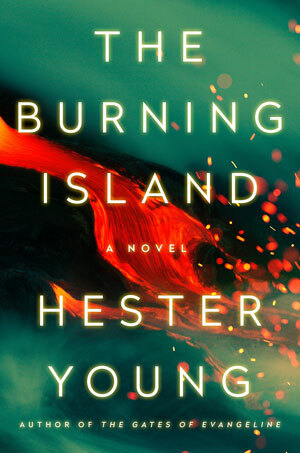 After her work on a high-profile missing-child case brings unwanted fame, she reluctantly flees to the lush Big Island of Hawaii with her best friend in The Burning Island by Hester Young. Determined to avoid her disturbing visions, Charlie begins writing what seems to be a harmless interview of a prominent volcanologist. But her hopes for a peaceful vacation are soon dashed by haunting dreams of a local girl who went missing six weeks earlier. In order to find the missing teenager and stop a dangerous predator from striking again, Charlie is forced to embrace the gift she has always tried to conceal. Meanwhile, someone is watching her every move, and the closer Charlie gets to the truth, the more distant her chances of ever leaving the island alive. “Intriguing characters and unanswered questions keep the story moving at an engaging pace. Those looking for solid suspense stories, especially those with psychic or supernatural elements, will enjoy this novel,” says Library Journal. Published on January 22, 2019 in Literary Loop and tagged front by Kristy Johnson.